XL 3648 x 3648px 15 Mb. 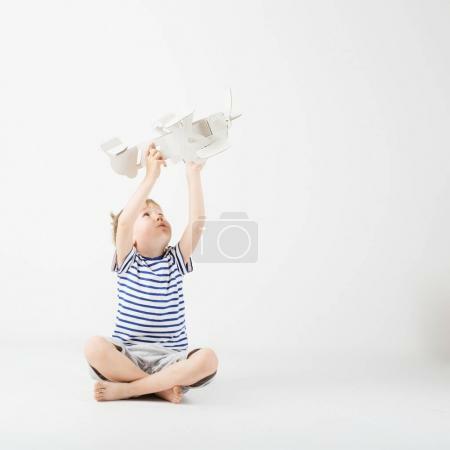 Child boy playing with paper toy airplane sitting on the floor against a white background. Kid dreaming of becoming a pilot. Childhood. Fantasy, imagination.